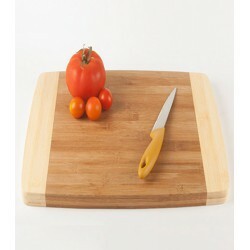 The JOCCA Bamboo Cutting Board with Tray is a practical cutting board. In addition to having a 36 x 27.5 cm cutting surface, the JOCCA Bamboo Cutting Board comes with a sliding tray that conveniently collects the food you slice and chop. 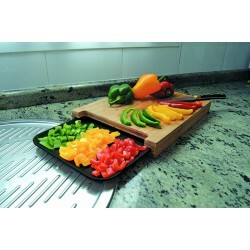 This allows you to easily transfer food from the cutting board into your pot or plate. 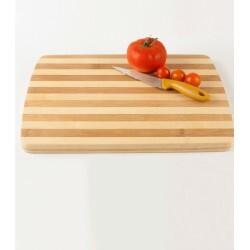 Sturdy Bamboo Cutting Board by JOCCA. 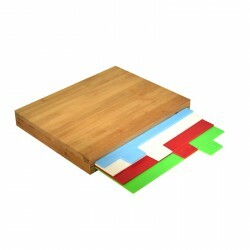 With dimenssions of 32x25 cm, the JOCCA Bamboo Cutting Board includes 4 different colourful plastic cutting boards. You can hold them easily inside the bamboo board. Aquí encontrarás tablas de cortar de todo tipo. De la más barata a la más elegante. Materiales sintéticos o naturales como la madera de bambú.